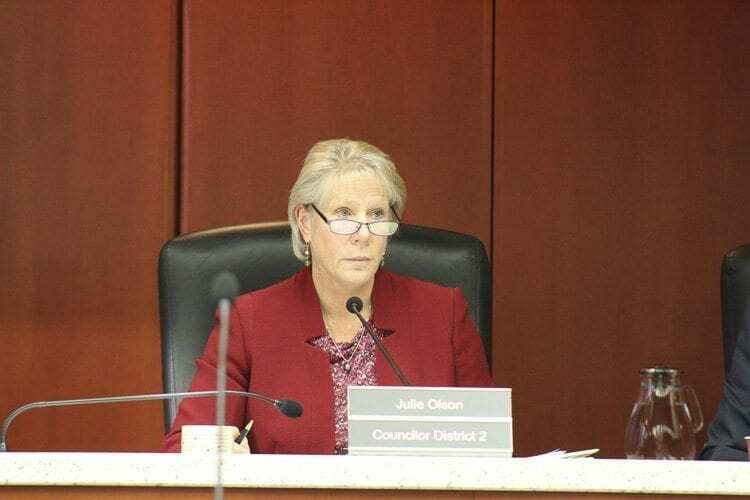 VANCOUVER — Members of the Board of County Councilors voted against a proposed ordinance that would have established a system of rates and charges to help provide a stable source of funding for the Clark Conservation District. The Clark Conservation District was formed in 1942 to help farmers conserve soil, and has since expanded to provide assistance and education to landowners and groups for managing all natural resources, according to Denise Smee, district manager of the Clark Conservation District. The district works on a voluntary basis, and is not regulatory, Smee said. This means that it works with property owners to help them better manage resources and the environment. The services are provided at no charge to the landowners, Smee said. The Clark Conservation District is funded primarily through grants, and has recently found that grant funding has either been cut at a state or federal level, or the requirements to receive grant funding have changed, making the district ineligible, Smee said. Smee noted that the state legislature has provided for stable funding for conservation districts by allowing counties to establish district rates and charges based on property in the county. The maximum rate allowed under state law is 10 cents per acre per year, 5 dollars per parcel per year or a combination of the two. At a rate of $5 per year and 10 cents per acre as proposed in the ordinance, the annual revenue for the district would be approximately $830,000 according to John Ghilarducci, a consultant from FCS Group, a company that has worked with other conservation districts in the past to implement rates and charges. The proposed ordinance would have established a 10-year rate term, at the end of which the conservation district would have to appear before the Board of County Councilors to have the system approved again. During public comments at the meeting, citizen testimony was overwhelmingly in favor of passing the ordinance, with over 25 farmers, landowners, and representatives of conservation groups such as the Columbia Land Trust all speaking in favor of the ordinance. Lynn Engdahl, a local landowner and rancher in several states, as well as the supervisor for the district, said that the conservation district was beneficial when he moved to the area and needed to understand and manage the legality of his water use. The help and information the district provides to landowners is free, Engdahl said. Passing the ordinance was a “no brainer” to Engdahl when considering the district’s benefits to landowners. Engdahl’s wife Tanna, an elder of the Cowlitz Tribe, also testified. She said that the tribe is “in support of the Clark Conservation District.” She also stated that she wanted the ordinance to pass because it would keep a valuable resource available to local landowners. Representing the National Conservation District Employees Association, as well as Oregon’s Clackamas Soil and Water Conservation District, was Tom Salzer. Salzer said that the Clackamas district was a partner with Clark County’s district, and that Clark County’s district was the last one in the region to not have a system of rates and charges. He said that such a district should be funded because it helps landowners make wise decisions about land use. Mark Clark, the executive director of the Washington State Conservation Commission, the agency which oversees all conservation districts in the state, said that conservation funding has been decreasing on a state level. “I’m here in support of what I see in this district,” said Clark, who urged the council to approve the ordinance. Bill Zimmerman, owner of Bi-Zi Farms and a past chairman of the Clark Conservation District, said that he supported securing a stable source of funding for natural resource stewardship. “There’s a lot of good that the conservation district can do,” Zimmerman said. Council Chair Marc Boldt said at the end of public testimony that the city of Vancouver had even sent a letter stating the city’s approval of the ordinance. Members of the county council expressed their belief that the conservation district was important, but were not convinced that levying a system of rates and charges was wise at the current time. Stewart also expressed her concerns that her constituents in District 1, which encompasses much of urban Vancouver, would not benefit from the charges they pay. She said that most of the conservation district’s assistance goes to rural areas, and her district has very little rural area in it. Also, most of the services provided by the conservation district are already provided in her district by the city of Vancouver, Stewart said. According to Stewart, her constituents would have to pay the charges but may not receive the benefits. “I have to see a benefit for all the people that are going to be asked to pay,” Stewart said. 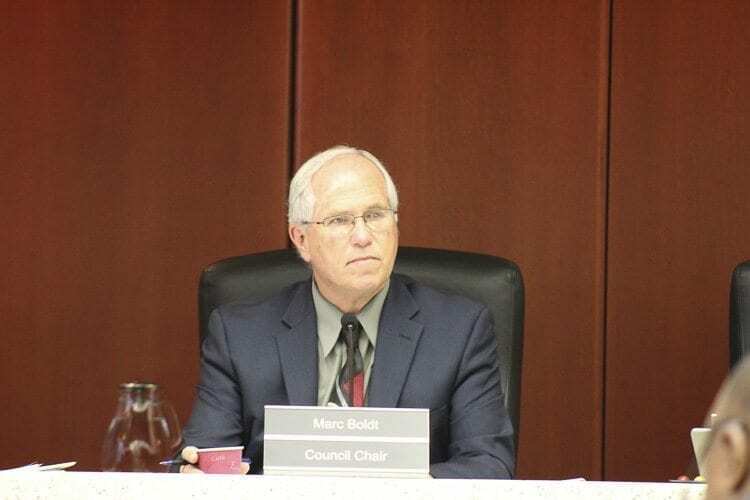 Boldt said that while not all residents utilize the conservation district, “it helps us all through our livability.” However, he noted that the county would be facing difficult decisions about spending and land use in the future. Boldt said that while the conservation district has benefits for the county, he did not think it was the right time to implement rates and charges. Boldt proposed a work committee be formed to examine the implications of the proposed ordinance before the board approved it. Olson said that while she understood the concerns of the people that testified, the county councilors have to represent all property owners, not just those that testified. “I would like to see the district do a little bit more in terms of trying to find local partners to get consistent funding,” Olson said. Olson said that she did not believe the requirements outlined in the ordinance had been met, and moved that the ordinance not be approved. A unanimous vote by the council members meant that the ordinance did not pass. Interim County Manager Jim Rumpeltes was directed to form a work group to look more closely at the proposed ordinance and return to council by April with its findings. After the vote, many of the people who testified were dissatisfied at the council members’ actions. “It’s so disappointing,” said Lynn Engdahl. He said that the vote was a blow to the conservation district, and that it will force the district to find new volunteers, as the current ones may not want to remain if the organization does not have funding. Tanna Engdahl said that she was surprised by Stewart’s comments about District 1. 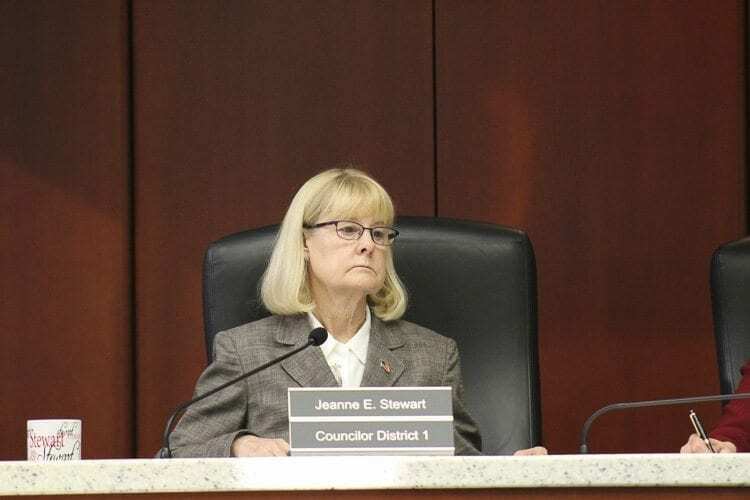 She said that Stewart’s comments outlined a view by the council member that her district does not need to be a part of the county as a whole. “This is our option for stable funding,” Smee said after the vote. There is no other option for stable funding, as the conservation district’s legal status means that it cannot qualify for foundation or nonprofit funding. She said that the district will have to begin laying off staff and offering fewer services. Smee was also astonished that the board members felt they had a lack of information. “Every bit of information they had a question on,” Smee said, had been addressed in work sessions over the summer or had been addressed by the conservation district.